The users of this module define Vendor Items and process purchase orders. The module posts the account transactions to Vendor accounts and store accounts on delivery phase of the supply process. 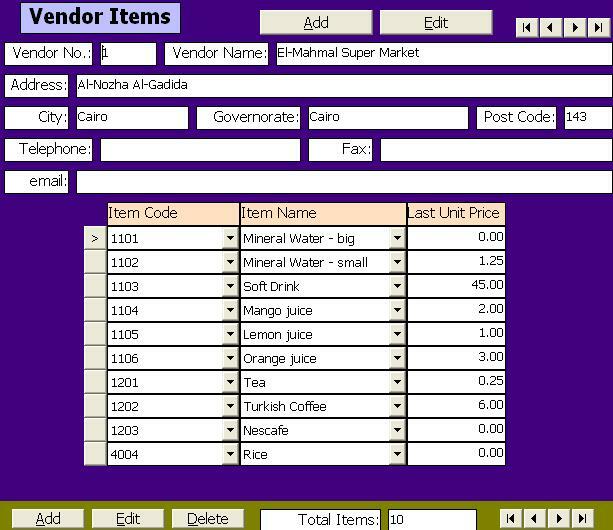 GAS General Accounting and database to define vendor account type and vendors. 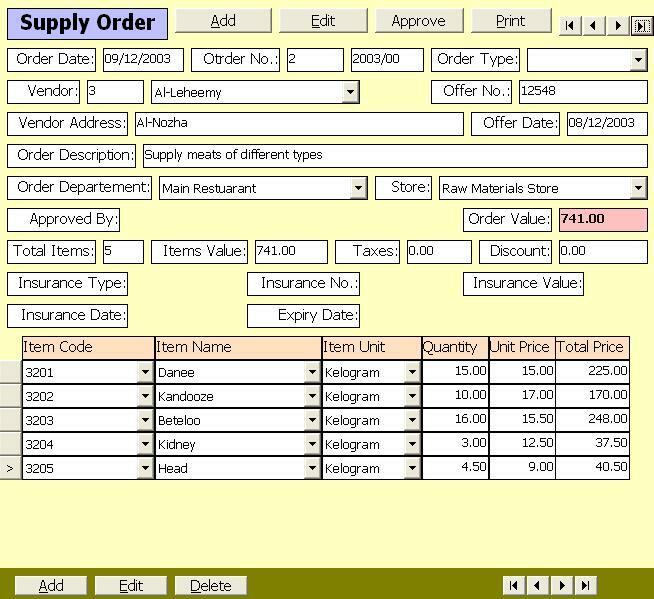 Material Supply database to save purchase orders.